An uninterrupted sequence of pottery spans 5th millennium BC until the Early Christian Period in the Nord Sudan. The Semna stele (circa 1870 BC) stands for Egyptian colonialism in Nubia while the Nastasen stele (327 BC) is emblematic of the independent kingdom of Napata. 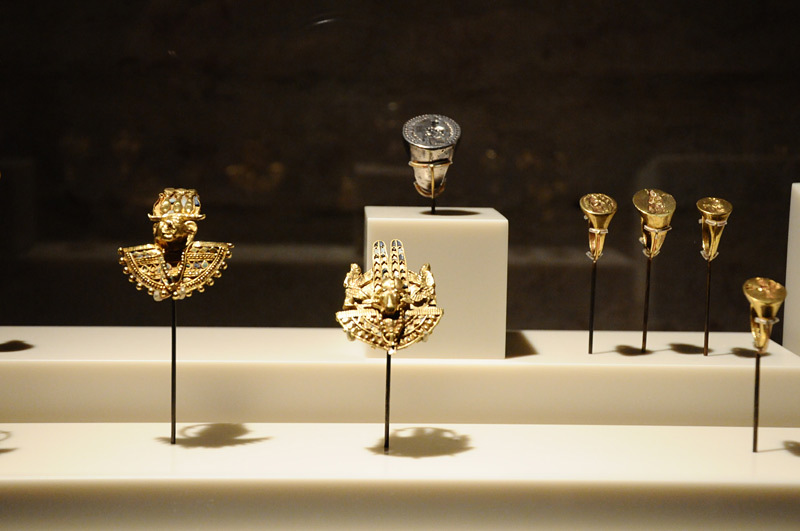 The altar from Wad Ban Naga and the gold jewellery of Queen Amanishakheto (1st century AD), which is on display in the treasure chamber, are a unique legacy from the Kingdom of Meroë. The area to the south of Egypt between the 1st and 4th cataract was occupied since the 5th millennium B.C. and was closely interconnected through trade with its neighbour to the north during war and peace times. Nubia and thereby end the independence of the Kerma Culture. 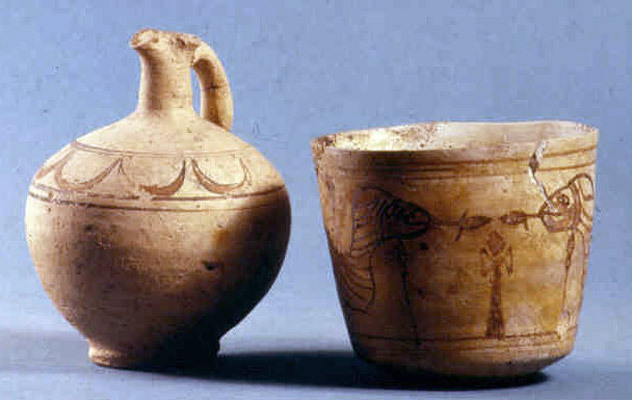 Most of the ceramics showing the quality and variety of the vessels, produced by a special method developed by people of the Kerma culture, was found in graves. The eggshell-like ceramic with highly polished red surface and black polished rim decoration, as for example the beaker shown here, is particularly characteristic. The new rulers retained the traditions of Egypt where they ruled as the Pharaohs of the 25th Dynasty (712-656 B.C.). 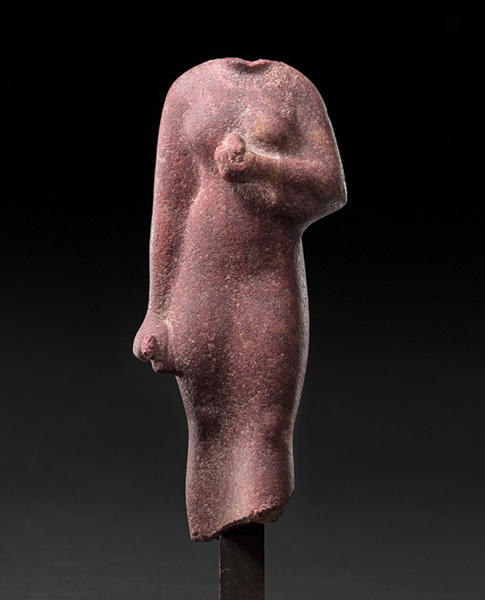 The Kingdom of Napata is succeeded by rulers whose capital is to be found at Meroë; the kingdom of Meroë propagates traditional Egyptian culture deep into the Roman Period, a time in which no native pharaoh had ruled Egypt for a long time. Ceramic takes on a particular significance in Nubian culture. It represents the preferred artistic mode of expression and, for this reason, develops a great variety of forms and decorations. Painting of the surface varies from geometric to floral and figurative motives, and the forms vary from simple ball shaped vessels to jugs and cups with complicated forms. Inv.-No. VÄGM 2008/131 Die antiken Kulturen des Sudan sind eine der Wurzeln des pharaonischen Ägypten und bilden die Brücke zwischen Afrika und Ägypten. Fünf Jahrtausende lang bestehen enge politische, wirtschaftliche und kulturelle Beziehungen zwischen dem oberen und unteren Niltal. Inv.-No. 22874-75, 22877 An Italy doctor and hobby archaeologist, G. Ferlini, found, in 1834, in the upper part of the largest Pyramid in Meroë a small hidden chamber with a pot filled with precious jewellery: Seal rings, necklaces, earrings, bracelets and amulets. The delicate objects made mostly of gold and inlayed with fused glass were, when first offered for sale in Europe, considered to be forgeries. Their authenticity was however confirmed in 1844 through R. Lepsius who during his expedition to Egypt and Nubia had visited Meroë and had seen the pyramids. The larger part of these finds were then bought by Berlin, the smaller part had already been bought by Ludwig the 1st of Bavaria. The jewellery belonged to queen Amanishakheto who carried the title of ruler of the kingdom of Kush where she reign in the 1st century B.C. 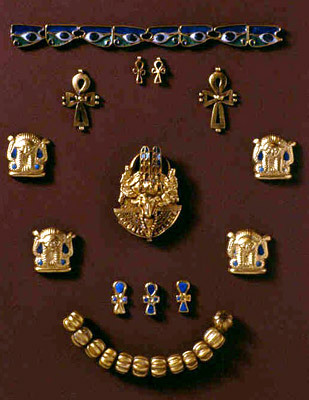 The precious jewels show Pharaonic as well as Hellenistic influence in the design. Inv.-No. 22871 In the cache of Ferlini there were nine so-called 'shield-rings' found. One of these rings is made of a sheet of gold decorated with gold wire, attached granules as well as fused glass. 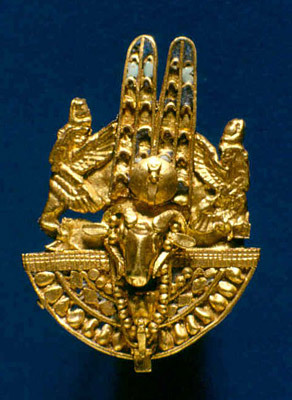 A solid 3-dimensional cast ram head, representing the god Amun wearing a complicated crown made up of a sundisc, uraeus and double feather flanked by two winged goddesses, has been attached in the middle. ca. 50 BC. - 50 AD. Inv.-No. Z 40020, Z 20019, Z 40020 A team of the Egyptian Museum (Berlin) has been working in the Meroitic town of Naga (130 km north-east of Khartoum) since 1995, funded by the German Research Foundation (DFG) and by the Society for the Promotion of the Egyptian Museum Berlin. The excavation exposed a new temple dating back to the 1st century AD. The walls had all collapsed but the blocks decorated with exquisite reliefs were able to be saved. The Berlin Museum was very fortunate to secure, on a long-term basis, three sections of these walls, consisting of 74 blocks. The representations such as the goddess Isis with winged arms and African facial features, the male deity with richly decorated clothes, the goddess Amesemi holding the chopped-off hands of enemies as a trophy, and the lion headed god Apedemak, combine formal principles of Egyptian art with motifs and stylistic elements of the kingdom of Meroë. Not only are the temple reliefs from Naga of historic and artistic significance but they also constitute a remarkable gesture of political and cultural cooperation. Inv.-No. ÄM 7261 The Prussian Expedition lead by Richard Lepsius visited the site of Wad Ben Naga near the 6th cataract in 1844. There they found a destroyed temple in which three sandstone altars were still in place. The largest one was transported to the Berlin Museum. The block represents a chapel and served as a stand for the bark of the god or for his cult statue. The four sides are decorated with figurative panels, at top with a horizontal hieroglyph representing a star filled sky. The sky is supported by two female goddesses and by the king and queen. 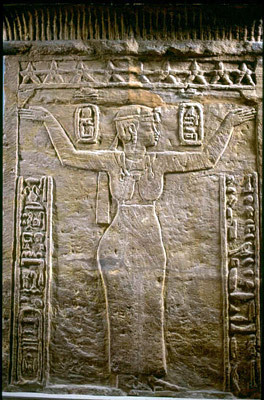 The queen Amanitore is shown with short hair and voluminous body representing the Meroitic ideal in contrast to the more egyptianized goddess with the slim body and the long hair. In front and behind the king and queen, the names are written, in cartouches. Unique is that one of the names, the throne name is written in Egyptian hieroglyphs, the birth name is written in Meroitic hieroglyphs however in the longer vertical inscription the birth name is again written in Egyptian hieroglyphs - a true (albeit small) bilingual! Despite ongoing studies the language remains, due to a lack of longer bilingual texts until now, undeciphered.